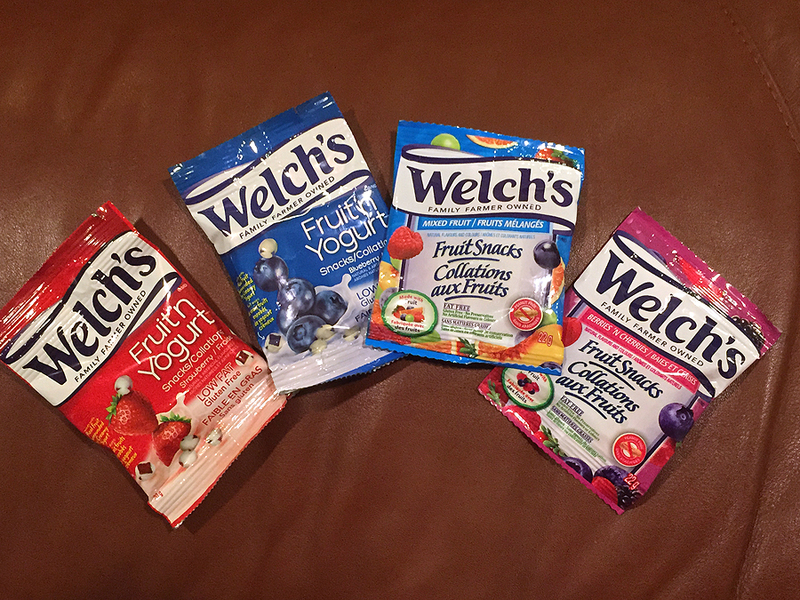 Just in time for Halloween, these Welch's fruit snacks are the perfect treats. We also like them for the juicy flavours and the perfect chewy texture. Today, I packed one in my son's school lunchbox. 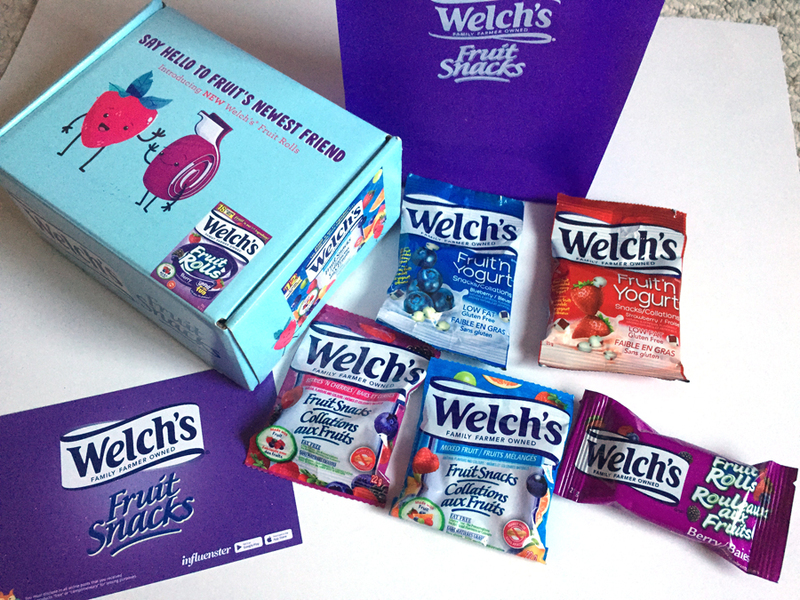 I just received the Welch's Fruit Snacks VoxBox from Influenster. 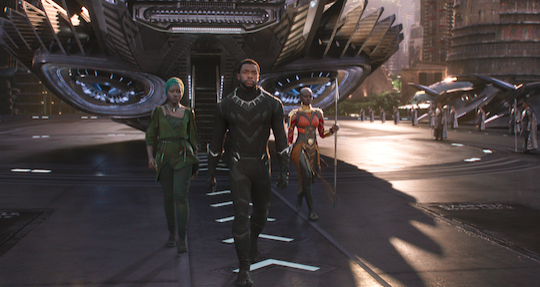 My son and I were so excited to share our review. Our family loves Welch's Fruit Snacks. They are made with real fruit and they are so yummy! 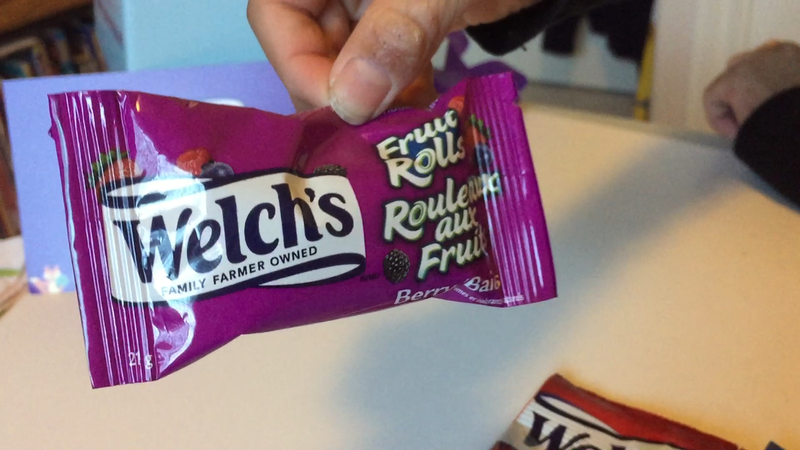 The newest product we want to feature is the Welch's Fruit Rolls with a delicious berry flavour. This one is also made with real fruit. The kids love the fun of unrolling them, stretching them, peeling them, and eating them up. 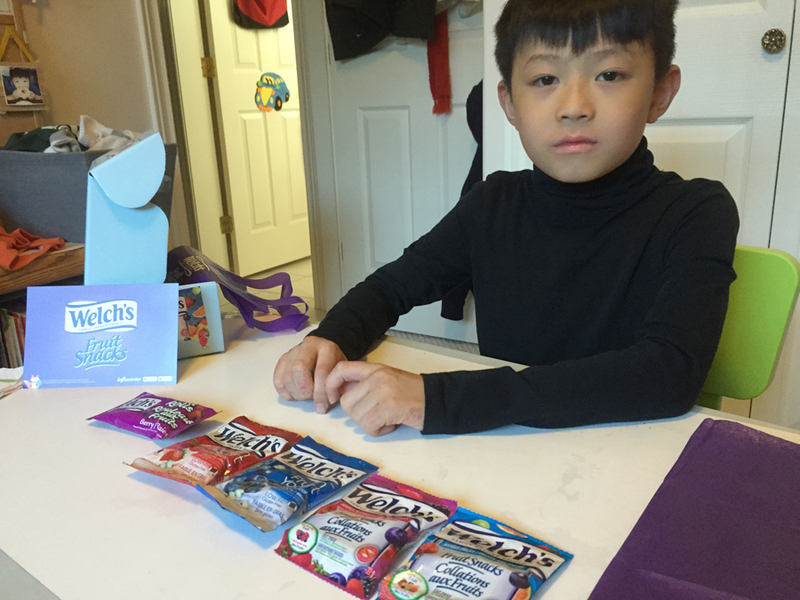 My son (in the photo below) ready to do his video review on the Welch's Fruit Snacks. Check out his video on Brandon's Adventures Blog here. Sleep On It has premiered a new song titled "Window" with Alternative Press today. "Window" is the second single from the band's upcoming debut full-length album Overexposed. 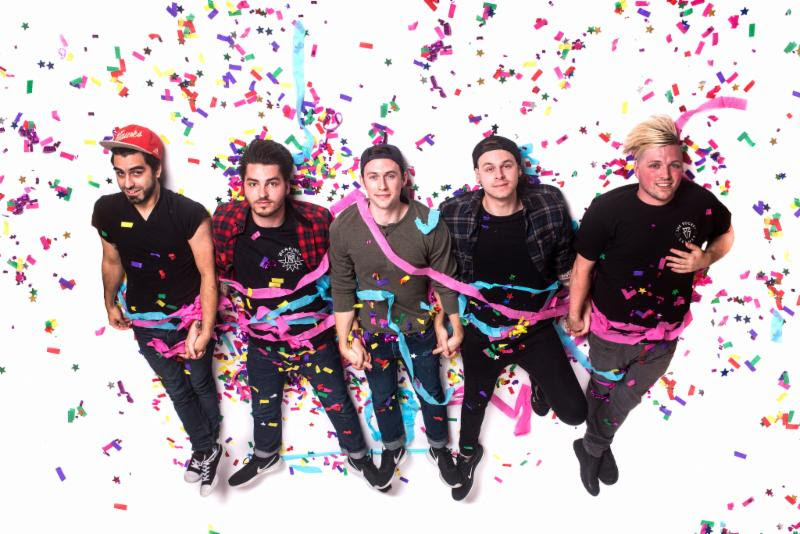 Fans can listen to the new song via Alt Press, here. With evident passion, TJ Horansky explains his inspiration for writing the song: "Window" was inspired by the passing of my good friend's mother. This friend is very close to me; we were roommates for seven years. He was always there for me when I was feeling lost, discouraged and heartbroken. When his mom got sick, it happened very quickly. 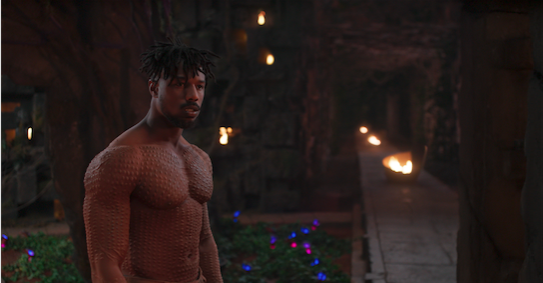 Watching him lose his mom like that put a lot of my problems in to perspective. In a sense, the song is told from different points of view. The first verse is an inward look at how I tend to selfishly preoccupy myself with my own problems. The chorus is from the perspective of losing someone that was a foundation in your life, so much so that they changed the way you looked at the world. That thought is what sparked the analogy of a "window". Fans can also watch the music video for the band's first single "Distant" here: https://goo.gl/6gzmYh. When pre-ordered digitally, fans will receive an instant download of "Distant". Sleep On It is comprised of Zech Pluister (vocals), TJ Horansky (guitar/vocals), Jake Marquis (guitar/vocals), AJ Khah (bass) and Luka Fischman (drums). 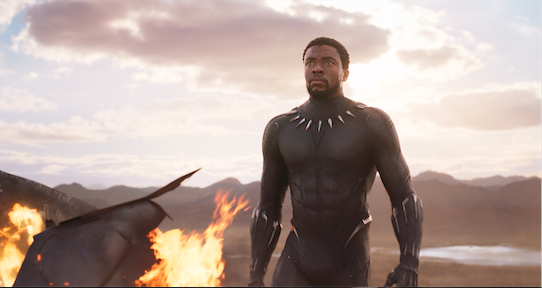 Long Live The King: Marvel Studios’ “Black Panther"
ONE (1) lucky winner will receive a Magic Canvas. 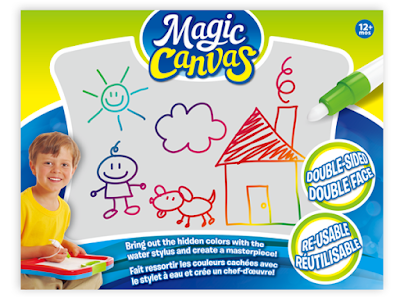 This Giveaway is open to United States and Canada residents only, 18+. 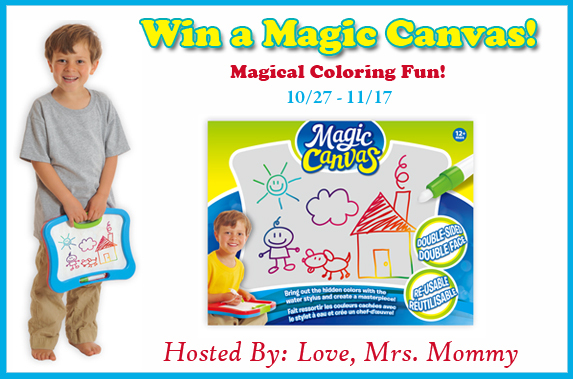 Giveaway event will end on November 17th, 2017 at 11:59 PM (EST). Winners will have 48 hours to email their information back or a new winner will be drawn. (Vancouver, BC) - Save-On-Foods is celebrating the grand opening of BC Children’s Hospital’s new Family Immunization Clinic, which the grocery company funded through a $15 million donation. The clinic is the first in the country to be located in a hospital, and will provide patients and their families with all publicly-funded immunizations. It is intended to increase immunization rates among children, especially those with complex medical conditions. It will also serve as a hub for consultation services for physicians across B.C. and support new research. In addition to the immunization project, this $15-million donation will fund urgently-needed equipment for the hospital. 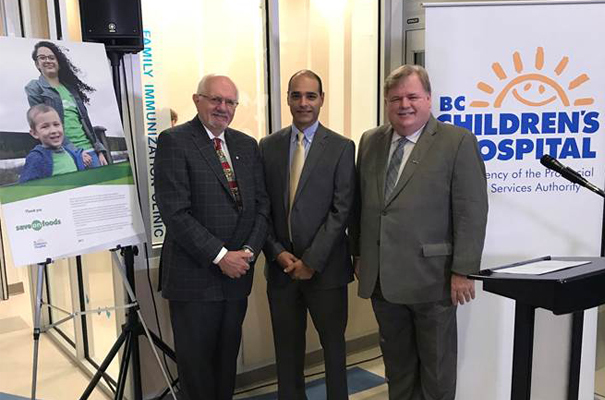 From left: Doctors David Scheifele and Manish Sadarangani are joined by Save-On-Foods president Darrell Jones at the grand opening of the new in-hospital immunization clinic at BC Children’s Hospital, which Save-On-Foods funded with a $15-million donation. From bestselling authors to the most anticipated new books, Indigo and Chapters stores across B.C. are excited to announce the following exclusive events taking place throughout the fall season. 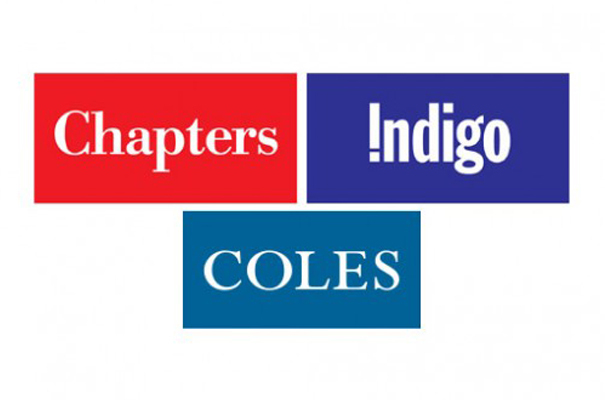 A proudly Canadian company, Indigo's in-store experiences will showcase and celebrate a variety of local and international authors. *Event materials may be limited and events are subject to cancellation or change without notice. 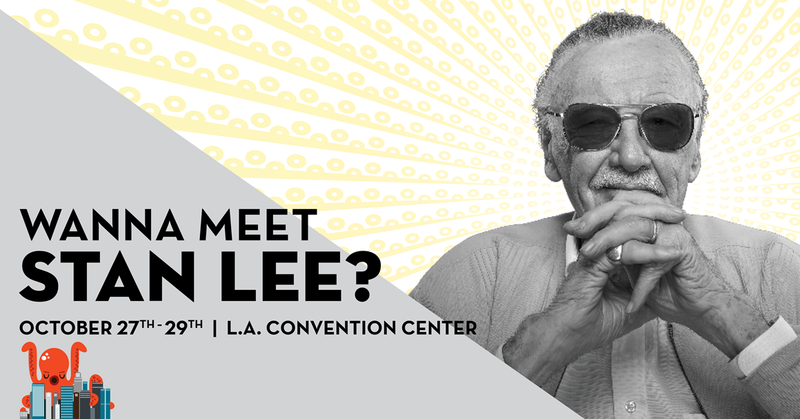 Stan Lee's Los Angeles Comic Con is Los Angeles' only large-scale, multi-media pop-culture convention, held annually at the Los Angeles Convention Center. *VIP Pass-holders gets access to show floor 30 minutes before show open on Saturday and Sunday. Please note: Friday preview night will be SHOPPING ONLY. There will be limited panels and autographs on Friday. To pre-purchase Celebrity Photo Ops, please click here. 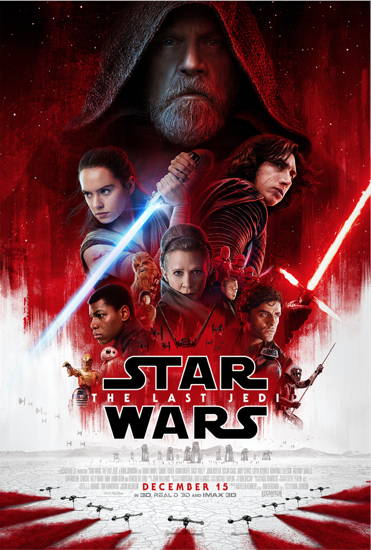 Gift with your ticket purchase is 1 year (50 issues) of Entertainment Weekly! 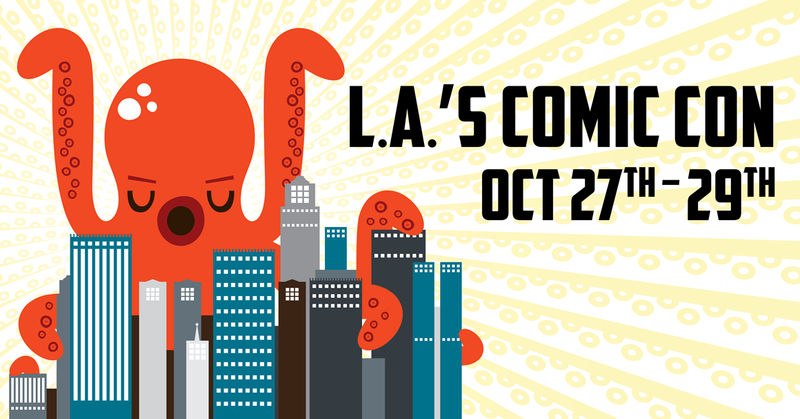 Comikaze Expo is the largest multimedia pop culture convention in Los Angeles. 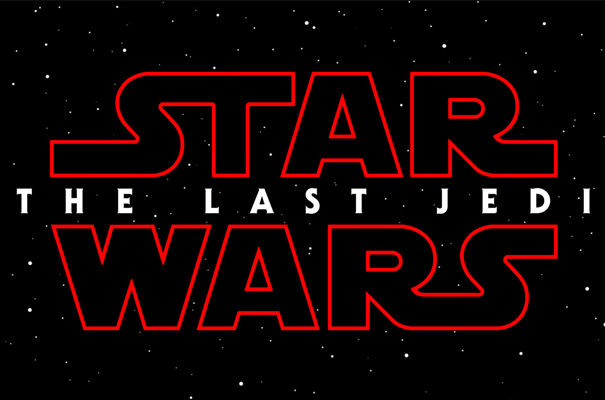 This massive event brings together the very best in comics, gaming, horror, sci-fi, fantasy, anime and all other cult programming. 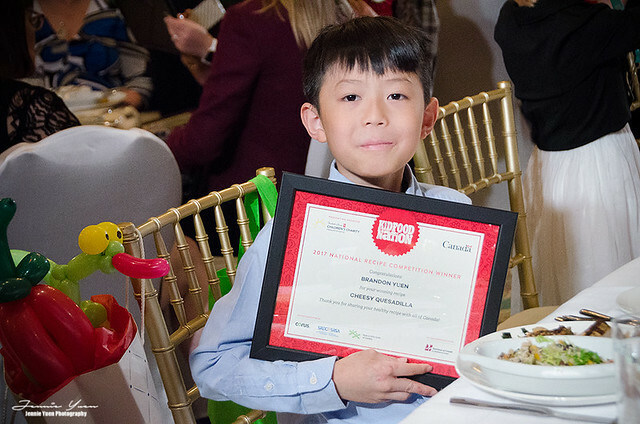 Brandon Yuen, 9-years-old from Vancouver, BC was one of the chosen 26 winners of the KID FOOD NATION National Recipe Challenge who attended the Gala over the past weekend. Brandon's Cheesy Quesadilla recipe was also featured on the YTV Kid Food Nation website. It was an amazing and unforgettable experience at the Kid Food Nation Gala that took place on Sunday October 22, 2017 at the Fairmont Château Laurier in Ottawa. 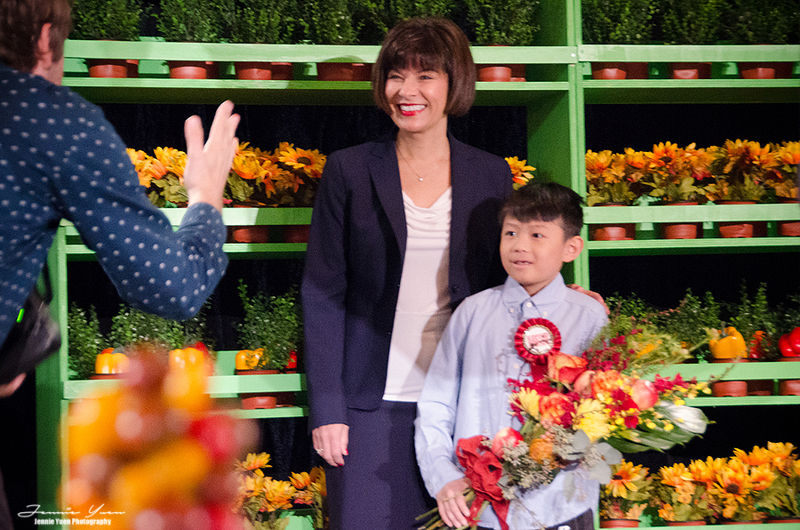 The Government of Canada, Boys and Girls Club of Canada, President's Choice Children's Charity, Corus Entertainment celebrated the winners of the Kid Food Nation Contest along with their families. Kids from across Canada submitted their homemade healthy recipes. Thousands of entries were received and only 26 winners were chosen to attend the Gala and a trip to Ottawa as the grand prize. Prior to the Gala, the kids did an individual photoshoot session. They are all so adorable in their nicely dressed attire. Brandon was excited to tell point to me that his Cheesy Quesadilla was one of the featured recipe for the appetizers on the table. Was great meeting Owen Charters (President & CEO of Boys and Girls Club of Canada) and Ginette Petitpas Taylor (Minister of Health, MP for Moncton-Riverview-Dieppe). The event was hosted by Carlos Bustamante (of YTV's The Zone and reporter for ET Canada). And yes, the kids were thrilled to meet their favourite YTV celebrity. He was very good with the kids and also signed autographs for them. This is a wonderful inspiration to all the kids knowing that they can achieve their goals, learn about healthy eating and also have the chance to inspire others as well. 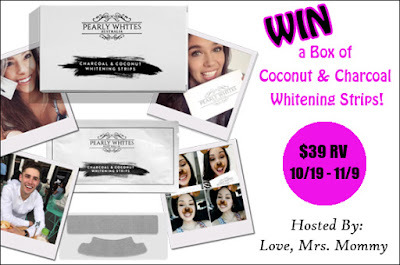 Brandon's thoughts coming soon on his blog at "Brandon's Adventures"
Voted Australia’s most popular at home teeth whitening brand, Pearly Whites only uses the highest grade ingredients in their whitening gel, and sell nothing other than premium quality products! We've combined the natural whitening power of coconut oil and activated charcoal and infused it with our unique whitening formula for fast, no mess, pain free results. If you’re looking for a more natural way to get a Hollywood celebrity smile, our new On The Go Whitening Strips are the best choice. Formulated for people with sensitive teeth, these whitening strips have been infused with both the natural whitening power of activated charcoal and the antibacterial properties of coconut oil. 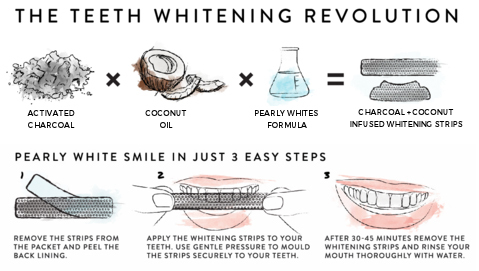 These two ancient remedies have been updated with a gentle whitening agent to produce a more natural, easy to use, teeth whitening option that is convenient, quick and, best of all, gentle. 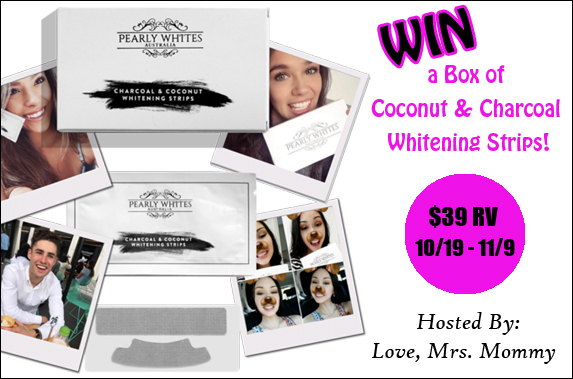 ONE (1) lucky winner will receive a box of 10 x Coconut Oil & Activated Charcoal Infused Teeth Whitening Strips! 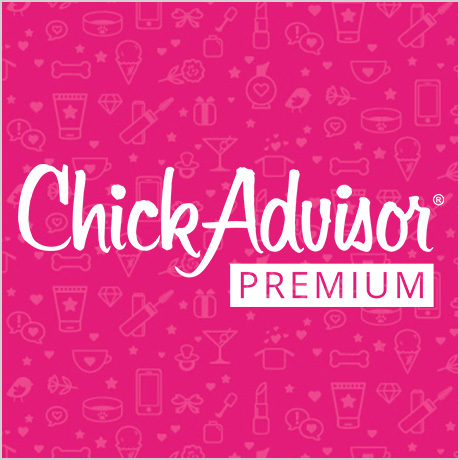 This Giveaway is open to United States residents only, 18+. 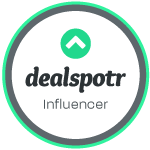 Giveaway event will end on November 9th, 2017 at 11:59 PM (EST). Winners will have 48 hours to email their information back or a new winner will be drawn. The upcoming album is now available for pre-order at www.kansasband.com. "Leftoverture Live & Beyond," produced by Jeff Glixman, features nineteen songs selected from twelve shows recorded during KANSAS's Spring 2017 Leftoverture 40th Anniversary Tour. The set list includes classic hits, deep cuts, new songs from 2016's studio album "The Prelude Implicit," and culminates with the band's sextuple-platinum breakthrough album, "Leftoverture," performed in its entirety. Coinciding with the 40th Anniversary of "Leftoverture," and the release of "The Prelude Implicit," KANSAS embarked on their biggest headlining tour in decades. The overwhelming success of that tour led the band, along with Inside Out Music, to release selected songs from the tour as a live album. 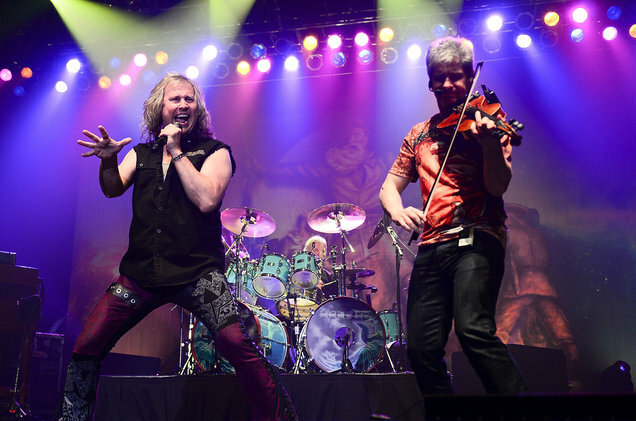 "When we saw how much our fans enjoyed the Leftoverture 40th Anniversary Tour shows, we knew we had to record a live album," said KANSAS drummer, Phil Ehart. "When it came to finding someone to produce it, we thought the best possible person would be the guy that produced 'Leftoverture' forty years ago. So, we called Jeff Glixman!" "I'm really excited with how this live album sounds," adds producer, Jeff Glixman. "This band is on fire. Producing this live album was truly an undertaking, but I am confident that KANSAS fans will enjoy the end result." "Leftoverture Live & Beyond," will be released on November 3, 2017, on Inside Out Music and is distributed by The Orchard. The album will be available as a double CD digipak, four 180 Gram Vinyl boxed set, and digitally on iTunes and Google Play. 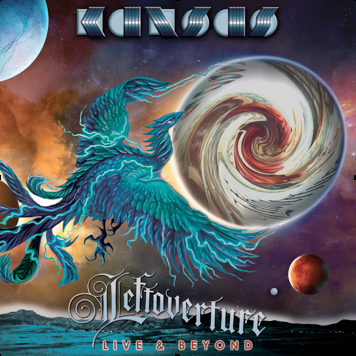 KANSAS is currently on the Leftoverture 40th Anniversary Tour. More information on the tour, including specific Leftoverture 40th Anniversary Tour dates, can be found at www.kansasband.com. For more information on KANSAS, Leftoverture Live & Beyond, and the Leftoverture 40th Anniversary Tour, visit @kansasband via website, Facebook, and Twitter. 1. BREAK THE FAST. Fuel your engine by eating a nutritious breakfast that provides energy and essential nutrients for healthy growth and development, maintains healthy body weights and improves focus. Skip the sweet cereals and go for higher fibre varieties (more than 4g per serving) with less sugar (less than 10g per serving), or try smoothies. For something different, go for soaked oats. TIP: The night before, combine steel-cut oats, protein powder or skim milk powder, hemp hearts, with boiling water, stir, top with nut butter, berries, cover and chill. It’s loaded with tasty and healthy fuel to start your day off right. It’s delicious! 2. SWAP OUT SUGAR. The World Health Organization (WHO) recommends that less than 10 per cent of daily calories come from added sugars. For a typical 2,000 calories per day diet, this is less than 12 teaspoons per day maximum in added sugars. In fact, one can of soda pop may contain 10 teaspoons of sugar. Yikes! Try flavouring plain or mineral water with fruit, veggies, or herbs, cucumber and fresh mint, or lemon, lime and oranges – it’s super refreshing! TIP: Got juice lovers at home? Mix fruit juices with water and ice to reduce the amount of sugar over time. It’s easier than cutting it out all together and works great with chocolate milk and plain milk, too. Also, try switching from flavoured yogurts to plain yogurts and simply add fresh or frozen fruit with drizzle of honey or maple syrup. How to Swap when Baking? Try substituting one-third of the sugar in recipes with skim milk powder to decrease the sugar. 3. GRAB’N GO SNACKS FOR SUPERMOMS AND DADS. With hectic schedules, busy work days, and after-school activities, grown-ups need all the energy they can get. Too busy to cook from scratch or tempted by sugar-and-fat-laden treats? Look for nutritious, convenient and portable snacks at your grocery store. For example, Snack’n Go Salads are made with superfood ingredients including wholesome grains, fresh vegetables, and healthy plant-based protein and fibre to keep you satisfied longer between meals (which can help promote healthy weight). Plus, they are vegetarian, contain less than 200 calories, less than 10g of fat, with no added preservatives, and no added sugar. They come in a convenient 115g snack-size bowl with a handy snap-off spoon. TIP: Snack’n Go salads are great on their own, as an energizing snack between meals or a post-workout boost, or as a protein topping on green salads, or a healthy side to any meal. Need a little more protein? Add a small handful of nuts, cheese, or a hard-boiled egg to any of the Snack’n Go Salads. 4. POWER UP YOUR SNACKING ON-THE-GO! Be sure to add a source of protein and fibre into snacks to carry you through until your next meal. Try a power smoothie made with plain Greek yogurt, fresh fruit, spinach or kale. TIP: Set up handy, easy-to-grab snack bins in the cupboard and fridge. Once a week, replenish the bins with fruits, nuts, cheese, vegetables and hummus. 5. MEAL AND SNACK PLANNING FOR THE WHOLE FAMILY. Try setting up a menu for the week and get input from the family. Before supper, or the night before, veggies can be washed and cut for the next day. Building basic life skills in the kitchen will come in handy when your kids are grown up and will help save time for busy parents. TIP: Studies have shown that kids who grew up eating together as family tend to have healthier eating habits as adults. Snack’n Go Salads are made with superfood ingredients including wholesome grains, fresh vegetables, and healthy plant-based protein and fibre to keep you satisfied longer between meals (which can help promote healthy weight). Plus, they are vegetarian, contain less than 200 calories, less than 10g of fat, with no added preservatives, and no added sugar. They come in a convenient 115g snack-size bowl with a handy snap-off spoon. Five Bean – Super Charge: Super charge your fibre intake with this fresh and zesty protein packed Five Bean salad including chickpeas, black-eyed peas, navy, red and black beans in a honey cider vinaigrette. Nine-Grain – Balance: A balancing blend of nine wholesome grains including lentils, wheatberry, rice, couscous, mung beans mixed in a light vinaigrette. from rootsy organic to ambient electronic." 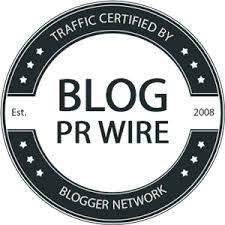 by very subtly bucking convention"
and convey Lukens' refreshing attitude." Walker Lukens is set to tour this fall, kicking off in Tulsa, OK on November 2nd and wrapping up in El Paso, TX on November 20th. The tour hits cities including Denver, Seattle, Portland, Los Angeles, and Phoenix. 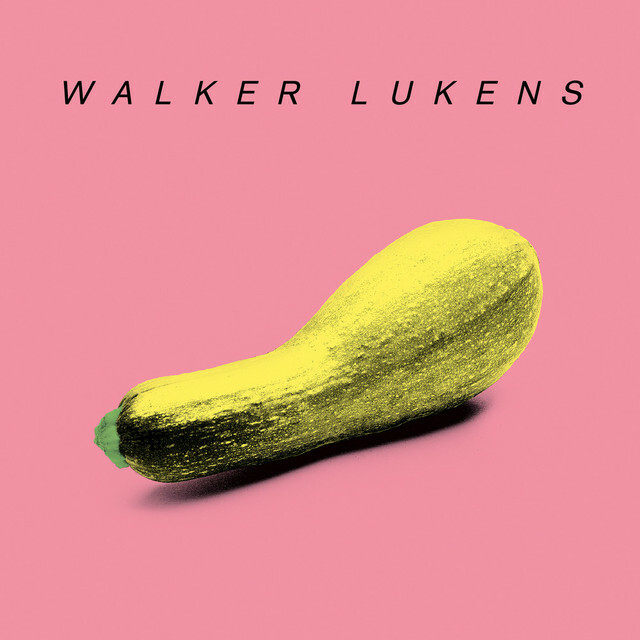 Walker Lukens recently released his new album Tell It To The Judge via Modern Outsider Records! Produced by Spoon's Jim Eno, this highly anticipated record brings together some of Walker's most prominent tracks to date, such as "Every Night" and "Lifted", with new tunes for fans to enjoy. The album is now available via Billboard, Spotify, iTunes, & Amazon. Walker has been called "one of the best songwriters in Texas" (Free Press Houston.) The Austin-based, Houston-bred singer, multi-instrumentalist has been called "wonderfully inventive" (NPR World Cafe,) a "non-sexually intimidating version of Prince'" (Austin Chronicle,) and a "veteran balladeer with sudden indie rock ambitions" (Indy Week). In 2013, Walker released his first full length record Devoted, garnering praise from outlets like NPR's All Songs Considered, American Songwriter, Austin American Statesman, Austin Chronicle, and Billboard. The word spread far and wide, taking Lukens all over the US with his backing band The Side Arms, made up of Kyle Vonderau (guitar), Zac Catanzaro (drums, percussion), Mckenzie Griffin (vocals, keyboard, percussion), and Grant Himmler (bass, vocals). After meeting Spoon drummer Jim Eno in a bar, Walker & The Side Arms started recording new music at with him at his studio, Public Hi-Fi. Their first collaboration, 'Every Night,' has been streamed over a million times now. Their second collaboration, 'Lifted' from Never Understood EP (Modern Outsider) spent 11 weeks in total on the specialty commercial radio charts, including 5 weeks in the Top 5 and 3 weeks at #1! This year, Walker & The Side Arms tackled a U.S. tour and performances at festivals such as Bonnaroo Music + Arts Festival, Firefly Music Festival, Mountain Jam, Float Fest, Savannah Stopover, and more. Tell It To The Judge is now available via Billboard, Spotify, iTunes, & Amazon. 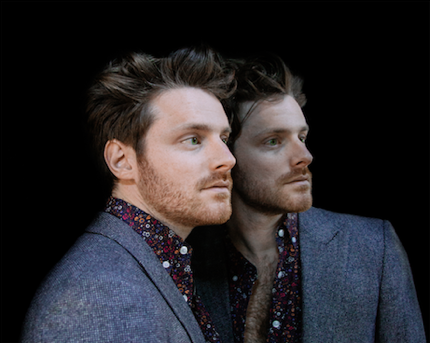 For more information, please visit http://www.walkerlukens.com/. Celebrating over 25 years in show business, four-time GRAMMY® Award-winning R&B vocal group Boyz II Men return with their latest album Under the Streetlight (Sony Masterworks) available October 20, 2017. 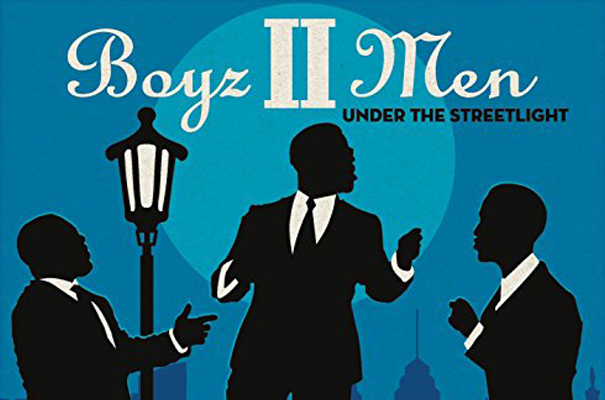 A tribute to the classic, harmony driven sound that inspired the iconic R&B trio, Under the Streetlight, features a personal selection of timeless songs chosen by founding member Nathan Morris, tenor Shawn Stockman and Wanya Morris, plus one original song - all with a Boyz II Men twist. The album is available now for preorder. Fresh off their sold-out tour with New Kids on the Block and Paula Abdul, fans can catch the best-selling R&B group sold Boyz II Men during their ongoing residency at the famed Mirage in Las Vegas and on their global tour. 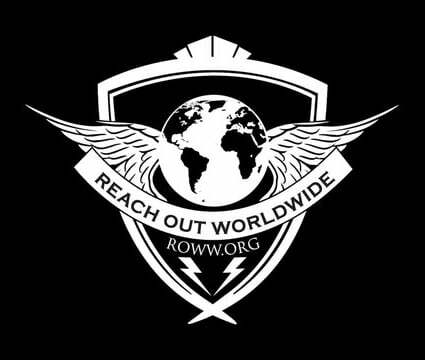 For information on tour dates and to keep up with everything Boyz II Men, head to www.BoyzIIMen.com and follow them @BoyzIIMen on Twitter, Instagram and Facebook. 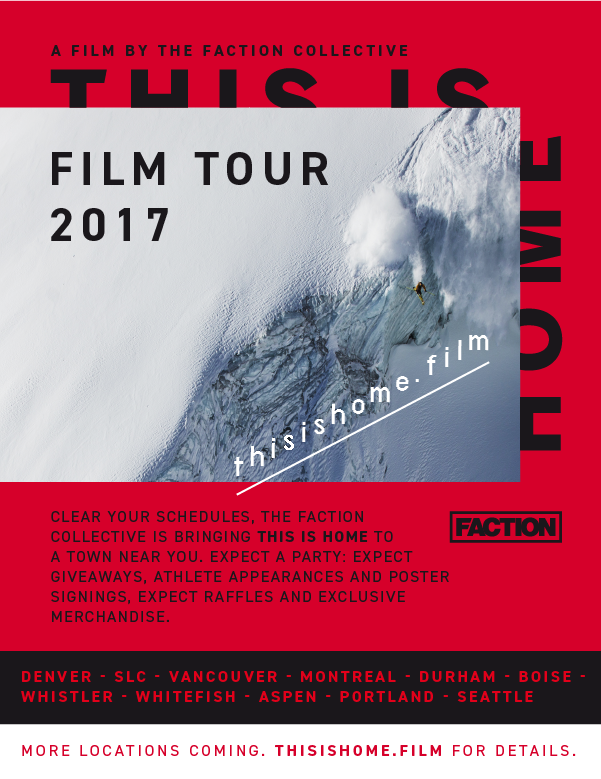 From Europe to North America and back again, "This is Home" follows Faction Collective athletes - including Johnny Collinson, Adam Delorme, Tim McChesney, Candide Thovex, Henry and Kelly Sildaru, and many others - as they return to their respective bases around the world to show us how they get it done on home turf. Revisiting old playgrounds and favorite lines, finding new challenges and scoping out secret spots, this film chronicles what it means to be a freeskier today – where the conditions are what you make of them, and the search for that perfect ride begins in your own backyard. This special film tells a great story of some of the best skiers in the world. On Saturday, October 14, one of the most anticipated events of the season returned for its 35th year with a big splash! Arts Umbrella's Splash art auction and gala showcased nearly 100 works by prominent B.C. artists, and raised a record-breaking $540,000 in net proceeds to help make high-quality arts education accessible for young people in British Columbia. 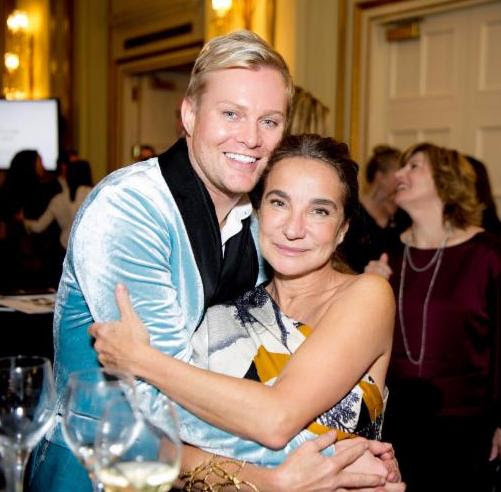 Every year, Arts Umbrella, Canada's leading non-profit arts organization for young people hosts a gala and coveted art auction where they can meet acclaimed local and international artists and fellow art lovers while browsing and bidding for original pieces. 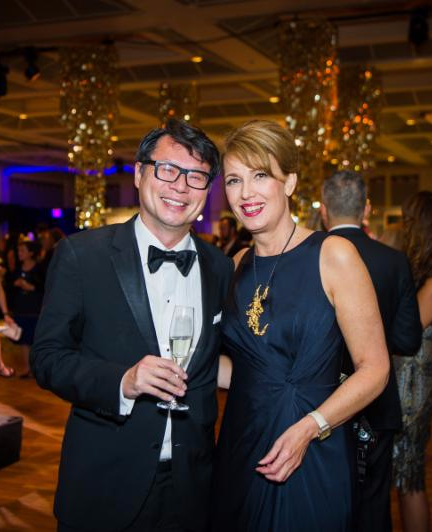 Celebrating the 35th anniversary, Splash was held at the Fairmont Hotel Vancouver and once again attracted over 500 business and community leaders, patrons and art aficionados. "With a record-breaking art auction, this was a landmark evening for Arts Umbrella," says Paul Larocque, president & CEO of Arts Umbrella. "We are truly honoured by the generosity of our community, including the many extraordinary artists who gave their very best to support our mission to help young people explore their potential through the arts." The spectacular event was co-chaired by Christie Darbyshire and Bruce Munro Wright, emceed by Gloria Macarenko and Fred Lee, and throughout the night attendees were treated to dynamic performances by the Arts Umbrella Dance Company and Pre-Professional Theatre Students. The evening was anchored by a live auction led by Canadian multidisciplinary artist, curator and cultural leader Hank Bull. Immediately following the auction, guests were treated to a lively afterparty set to the musical stylings of DJ Chloe. Splash was made possible through the generous support of presenting sponsor TD Bank Group. Arts Umbrella was also pleased to partner with luxury jewellery brand David Yurman, which donated a stunning signature raffle piece. Arts Umbrella believes art can change the lives of young people in profound ways, which is why the not-for-profit has opened the doors for all kids ages 2 to 22 to find and explore their artistic voices, regardless of their socio-econonic status. More than 20,000 students discover the magic each year, with more than two thirds participating at little to no cost to their families. Since Splash was introduced in 1983, Arts Umbrella's largest annual fundraiser has raised over $6 million in net proceeds, all of which supports youth-oriented initiatives, including free community programming, scholarships and bursaries. For more information, visit Artsumbrella.com.